Former NBC “Today” and CBS “Early Show” anchor Bryant Gumbel is returning to the mornings the week of June 4. Gumbel will be the guest co-host of ABC’s syndicated program “Live! with Kelly” on Monday, June 4 and Tuesday, June 5. 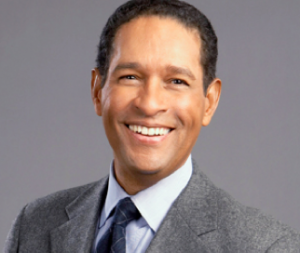 Gumbel, who anchors “Real Sports with Bryant Gumbel” on HBO, was one of “Today”‘s longest-serving anchors, and helped launch a revamped version of “The Early Show” back in 1999. The other guest co-hosts on “Live!” that week are actor Neil Patrick Harris and “Saturday Night Live’”s Andy Samberg. I watched Live w/Kelly, this morning, 06/05/12. You are the guest Co-Host. Please put on a pair of socks. You looked tacky, Sir. Shoes with no socks. This is 2012, not the 80’s. ps I’m a Private Investigator, 24 years Exp.